After a week of living on Weight Watchers own foods, mixed in with my own healthy meals, I can certainly say that the Weight Watchers diet does work! 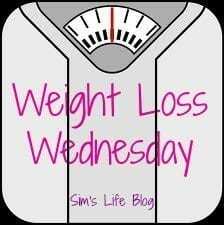 I have already lost 7 pounds since I started last Wednesday! Awesome! The best thing is, I have still been able to eat chocolate and eat Chicken Curry’s (albeit Weight Watchers!) which are delicious and just the right portion size. It has been easy to keep to the diet, literally just a case of cutting back on snacking and watching portion sizes. I was a major snacker but have found that if I do feel slight hunger pangs between meals then a banana will suffice – although with the Tesco offer still currently running on Weight Watchers products, I know have a cupboard full of Cheesy Puffs (2 Pro Points and 76 Calories) and Caramel Wafers (also 2 Pro Points). I am finding my rhythm now and like to jump on the bike, which is currently in front of the tv, for 20 minutes each night. Already my legs are tightening up but I have a long way to go in order to keep up with Wiggo! Well done!! I’d link up but I’m one of the Weight Watchers blogger ambassadors so I kind of feel like I’d be pushing something they want me to push, if that makes sense? I do need to lose weight though! (I’m now about half a stone from no longer being overweight, which I never thought would have been possible!) WW works really well for me too – there’s some really nice stuff! This is the first time I have actually tried a food based diet, I was previously on shake only. I have to admit that losing 9lbs in the first week after only 3 shakes a day was great, though losing 7lbs in a week and still eating food and chocolate is fab. How did I never do this diet before?! Aw okay, I will do then! Thankyou! TBH, I’d never thought about diets until I found out I had potential high cholesterol and I had diabetes with H – the two things meant I need to be smaller and look after myself – we’d really fallen into the takeaway trap, and WW helped hugely – we can still eat what we did, just smaller portions! I’ll have a dig around – I keep putting little recipes and foods on Mum Friendly which are WW friendly (I’m going to do one for wraps – their wraps come in at 3 points each, but two only come to 5 – the joys of having a single number rounded up there but good to know!!) and try to do one a week, but will definitely link up – I’ve learnt a lot about myself doing WW! Ooh I’ve not tried the chocolate brownies – where do you get those? My biggest one I have to find this year is the pizza – apparently only 7 points… sighhh. Pizza and bread are my weakness. The Chocolate Brownies are in the frozen section… 5 points per point and it is almost like a chocolate moose, with choc scappings on top and a chocolate sponge base. Absolutely delicious and perfect as a pudding. Nom nom! That is very good to know about the wraps, I will be trying them. I have some WW bread this week for my ham salad sandwiches. The cheesy puffs are almost like Wotsits. In fact I am impressed with the whole range, there is nothing that I haven’t liked to eat.